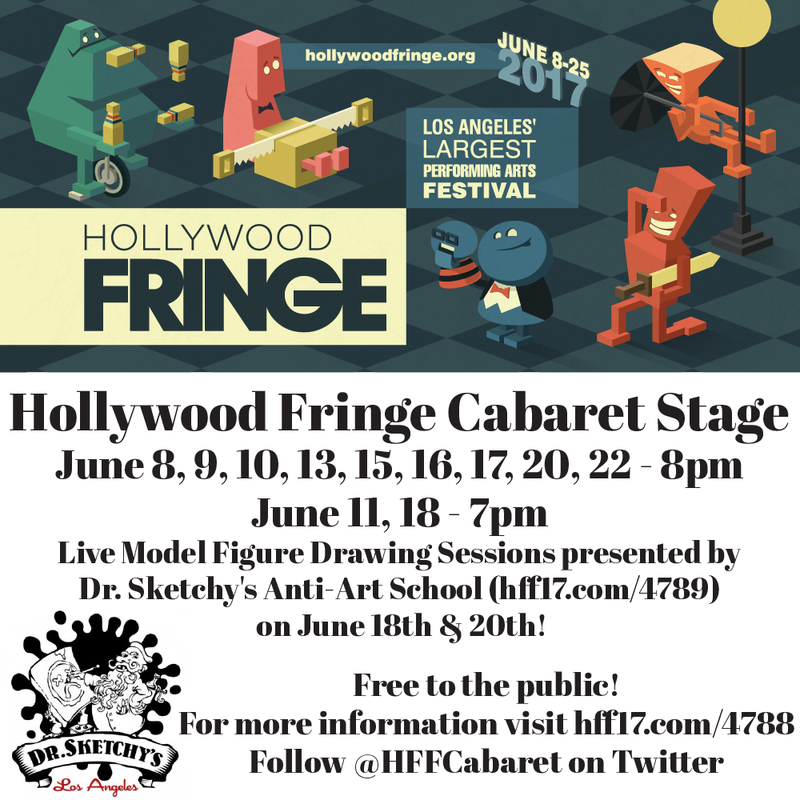 Fringe Cabaret Stage is your Hollywood Fringe Festival sampler platter. 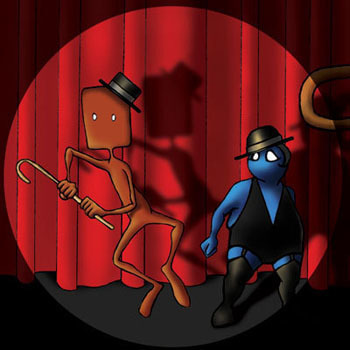 The Cabaret Stage is located at Fringe Central and provides Fringe participants as well as the general public an opportunity to preview snippets of Fringe shows. Come to the cabaret to get a taste of what Fringe shows have to offer before committing to the full meal! There are new shows featured in every performance, special guest performers, raffles for show tickets and Fringe swag! And it’s all FREE! PLUS, we are bringing Dr. Sketchy’s Anti-Art School back to present two special figure drawing sessions with live models from Fringe-registered shows! Visit Fringe Central, grab a drink, grab a buddy, sit back and enjoy world class entertainment in the heart of Hollywood. Due to overwhelming response, Cabaret Stage applications are currently closed. Everyone who applied will receive a reply by June 1st. Please follow @HFFCabaret on Twitter and/or join the HFF Cabaret group on Facebook for updates on possible future openings! Keep up with us by following @HFFCabaret on Twitter!